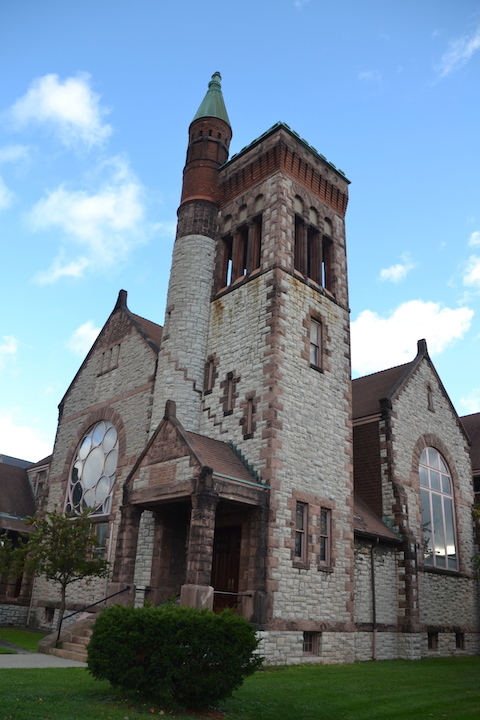 BATAVIA – In 1890-91, a towering church made of Medina sandstone took shape at 306 East Main St. in Batavia. 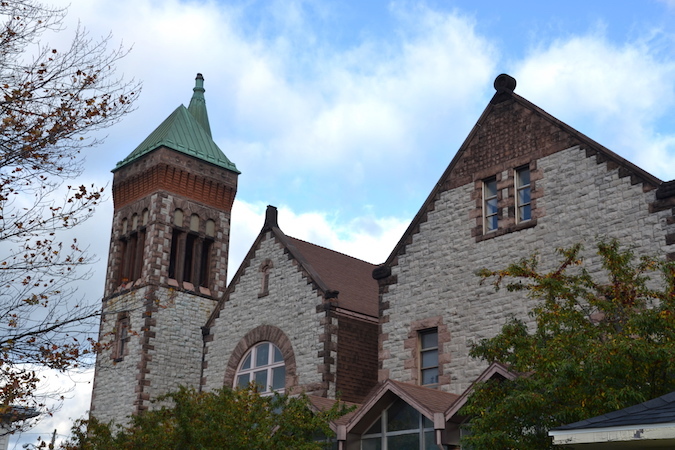 First Baptist Church used rough-faced gray Medina sandstone and Albion redstone to build one of Batavia’s most striking landmarks. 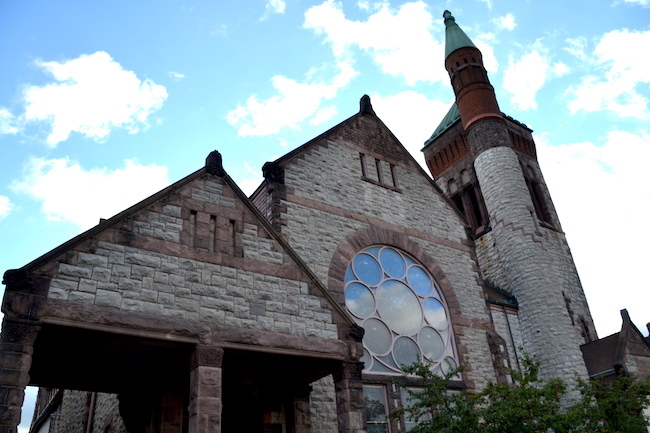 The two types of sandstone in gray and red “create decorative patterns,” according to The Architectural Heritage of Genesee County, an impressive book on the inventory of Genesee’s most striking residences, churches and public buildings. 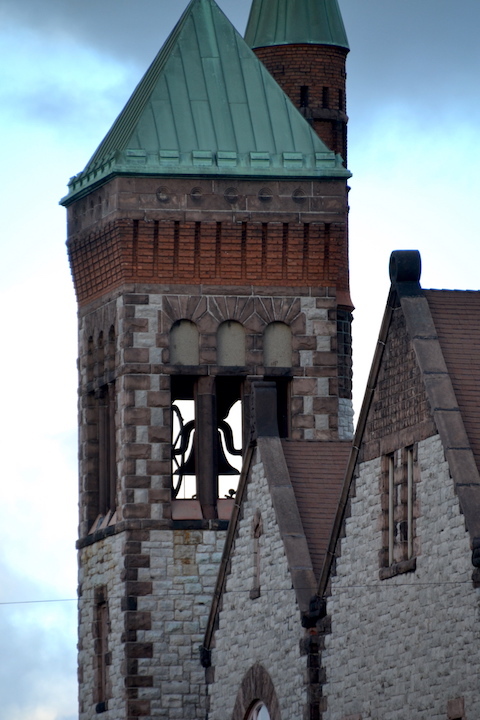 The Genesee County Landmark Society published the exhaustive book in 1988. The Baptist Church is on the cover. Catherine Roth headed the book project for the Landmark Society. In the book’s preface, she said the Landmark Society created the book to encourage the recognition of architecture as an art form that should be maintained and enjoyed. “The Landmark Society feels architecture is a heritage that should be cherished and handed down through the generations as moments in history that cannot be preserved in any other way,” Roth wrote. 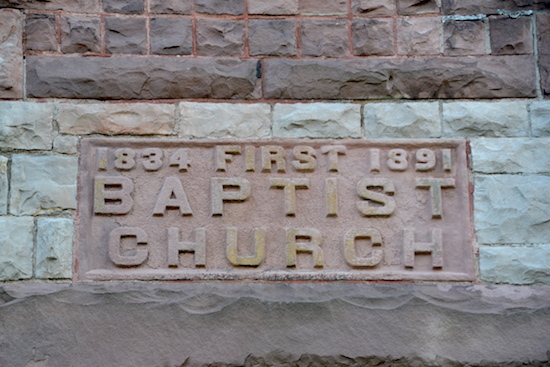 Fifteen years after First Baptist opened, Catholics completed their own church made of Medina sandstone. 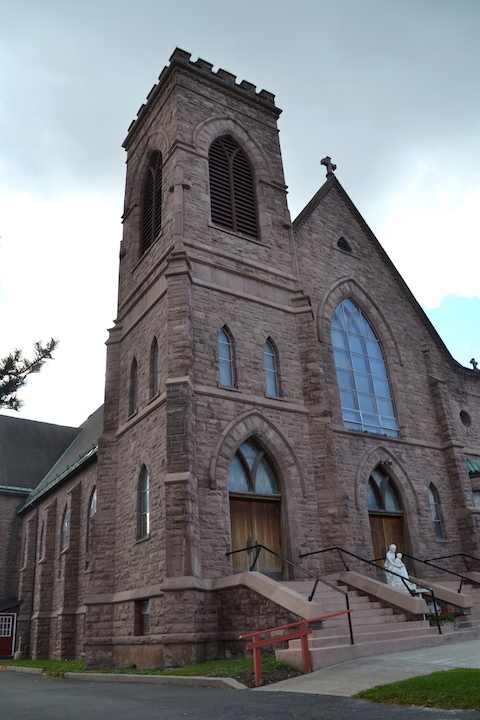 St. Mary’s Catholic Church was completed in 1906 at 20 Ellicott St. The church was made of rusticated Medina sandstone and is the oldest Catholic church building in use in Batavia. 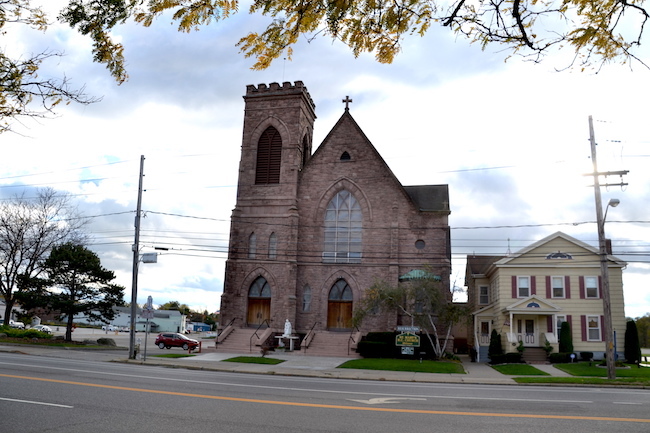 The church was designed by John Copeland of Buffalo and John Pickert of Batavia was the contractor. “Pointed arched windows including ones of stained glass depicting the life of Christ, small side projections suggesting buttresses and a crenellated bell tower are all Gothic design elements,” according to Architectural Heritage. The parish opted to keep St. Mary’s open. 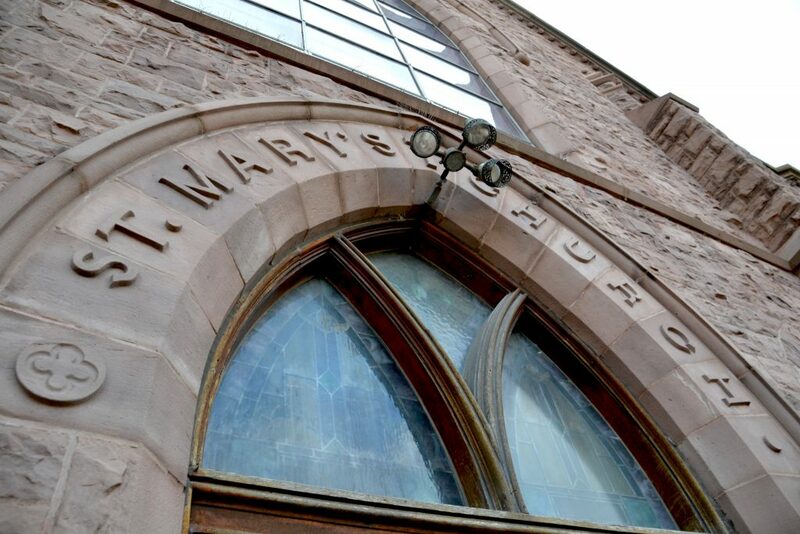 St. Anthony’s has been acquired by City Church and, after months of renovations, will have its first Sunday service at St. Anthony’s on Nov. 13 at noon. 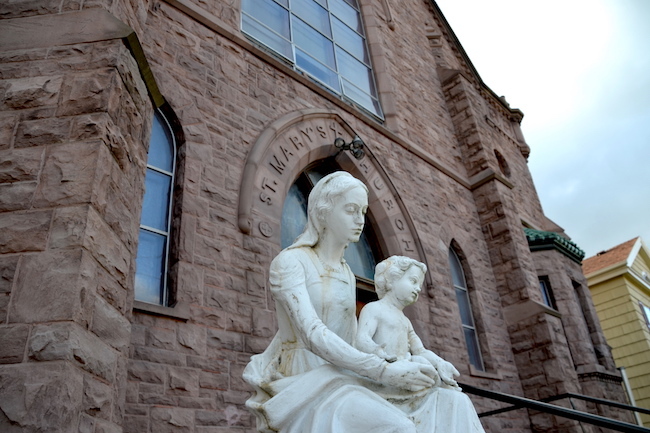 The parish about a decade ago did extensive renovations to St. Mary’s, especially inside the building. This is the only church I’ve noticed where the letters are protruding, and not etched into the stone. It is a magnificent achievement by the stonecutters from more than a century ago. This church is a showcase of the red sandstone.